Find the timeless beauty and shape of a cast iron Medicis vase to decorate the interior or exterior of your home through our collection. 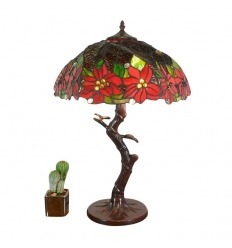 A must to decorate and beautify your garden, your driveway and your interior. In one corner of your living room or on your terrace, you can arrange these vases style of yesteryear. 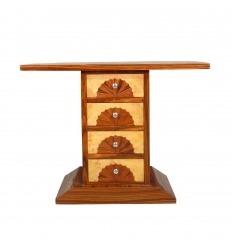 Our shop offers different models with base to allow you to decorate different areas of your property. 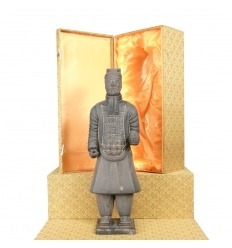 Medici vases with pedestal are available in various sizes and designs. Decorate them with a pretty plantation to enhance them. Inspired by the Renaissance, Medicis cast iron vases are a decorative object, essential to magnify the exterior of a house or bring a vintage touch inside. It is an inverted bell-shaped crater with two annular handles attached to the basin via satyr heads. This decorative object is originally manufactured by neo-Attic marble, usually dated from the middle of the first century BC. 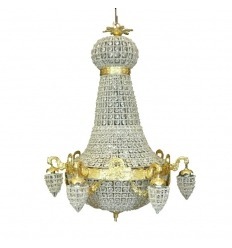 BC Its name is due to the Medici family, who was its owner in the sixteenth century. The Medici vase is currently on display in the Uffizi Gallery in Florence. Since the Renaissance, many large antique vases have come back to the surface to become engravedin decorative fashion, the Borghese vase and the Medici vase are among the best models. The style has invaded all over Europe. All gardens of European palaces, in the XVII century, embellished reproductions more or less faithful to these large basins. From this point of view, this decorative object of art has not ceased to impress all those who have a taste for luxury and elegance. Until now, the shape has been reused to have less luxurious cast iron garden pots, which can be with or without pedestal. In a traditional, uncluttered style, the garden pot with pedestal is an important ensemble of a Medicis cast iron vase with an antique style patina base. The base, like the whole, is decorated in relief with different motifs such as a laurel wreath, flutes, fruits, acanthus flowers or garlands, etc. 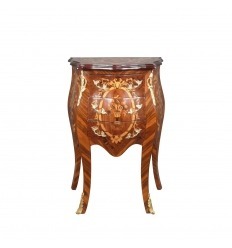 Elegantly placed on its square base and on a godronné foot, it shows a surface entirely carved on its base to make it both classic and elegant. 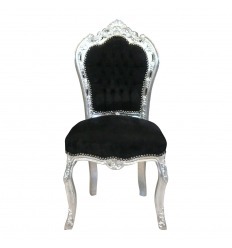 It will find its place perfectly on the borders of an alley, in your garden or for an interior decoration. 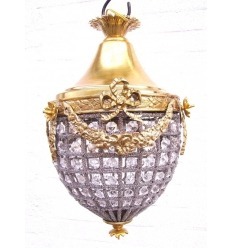 The Medici style pot forms a classic but elegant decorative element for your terrace, balcony or veranda. Destined at the time to decorate the gardens of the rich Roman customers, called horti marmorei (marble gardens), these monumental craters are currently exhibitingtheir beauty both indoors and outdoors. You can put them up in different places of the house where you want to bring a retro touch. Synonymous with elegance and prestige, Medicis vases are true decorative objects. Imposing in size compared to classical models, they combine in one element, class and sophistication to dress your property like a castle. Inspired by antiquity, each vase Medici cast iron with base is designed using the same methods as foundries nineteenth century. This process is mainly used for iron smelting. Cast iron is a very popular cast iron alloy, characterized by excellent flowability. Which makes it lighter than iron. This concept appeared in 1850, developed by Baron Haussmann, a collaborator of King Napoleon III, for the manufacture of the famous Wallace Fountain. 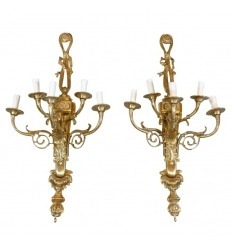 Cast iron moldings and reliefs are manually revised to provide a flawless finish. It is a large classical Medici vase, placed on its base, which puts it particularly in value. With its base, this model can sometimes be very heavy, so it is better to drop it outside, like old fonts. The weather will bring even more to your garden pot a patina that will give it an antique look. 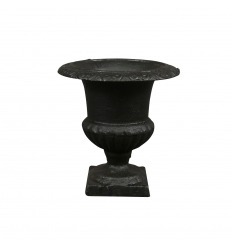 This vase Mecast iron dicis with base very elegantly decorates your huge garden or your entrance. For the main entrance of your property, its charm is higher if you buy it in pairs. You can put flowers there if the Medici basin is an ornament to your garden, like what is in the garden of Versailles or different other castles in France. This type of decorative object has an imposing size, which allows it to receive large plants, which require enough space. The plantation can enhance it too. Holes are in their bottoms, allowing the evacuation of water. In addition to the Borghese vases, the Medici basins are among the oldest pots currently reproduced. They seduce the modern era with its charm and incomparable beauty. Round, wide and often decorated with engravings, these old vases certainly influence contemporary vases. In the ancient era, each of them has a specific use, water, wine, oil or funeral. But right now, the faithful reproduction of a Medicis cast iron or natural-colored cast iron vase will give your landscaped space a magnificent ancestral style decoration. Often used to dress castle parks, this ornamental object is quite spectacular. Robust and solid, Medici vases with socle are offered in a wide range of sizes. Thus, several models are at your fingertips, such as the black or green cast iron pot with its pedestal for the garden, the Medici vase in Venetian cast iron, the basin with cherubs ... That you want a pot of a not very important height of 47 cm or a tall vase of 1.60 m, there is something for all your needs. A small Medici vase will be placed in the interior, it will allow you to decorate your offices, your living rooms or your furniture of entrance. He will be able to use also empty pocket, if necessary. These cast iron vases will impress your guests when they are installed on an entrance wall or column. 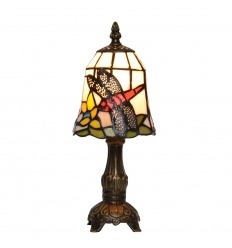 By lining the driveway or a place without height, they will be even more charming than ever. There is even a base specially adapted to each model. Depending on the size you choose, each vase will find a suitable place. Let yourself be tempted now by luxury, because it is put at your fingertips. To decorate your property, opt for a Medicis cast iron vase , it's an ideal item for a Château style decor. 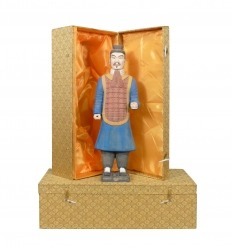 Your Medici vase with pedestal will be delivered in express in just three days on average. The choice is yours. Just browse our photo gallery, to discover a Medici vase with base that suits you. Order online and enjoy the elegance of a castle garden at your estate. Whatever your style, classic or contemporaryAin, Medicis vases can find their place in your home. 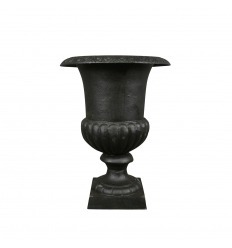 Medici vase with its cast of black color base, of good height ensemble decorate tastefully your garden. 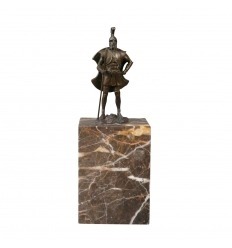 Medicis basin in black cast iron with the emblem of the Sun King on its black matte base. Medici cast iron vase on base total height of 112 cm. Medici cast iron vase on base - H: 120 cm. Important set of a green Medici basin on a cast iron pedestal with antique green style patina. Medici basin with its cast iron base, the vase is decorated with two cherubs placed on the handles in the shape of lion heads. I consent to the processing of my personal data for the purpose of providing services. In order to subscribe to our newsletter sent by e-mail. ©2012 - 2019 Htdeco All our products are reproductions and are new.